Multicultural Ministry Matters: KYLC becomes Next Generation! Katoomba Youth Leadership Convention is a week-long conference that trains youth leaders in the basics of how to understand the Bible accurately, and write good Bible studies and Bible talks. It's operated by Katoomba Christian Convention. In 2009, it's broadening its base to include children's ministry, and changing its name to Next Generation. 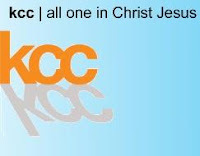 KYLC was a formative experience for my personal Christian life. In fact, I'd say it's the one thing that's had the biggest marginal impact on me - in terms of short time, for deep results. I attended three conferences, each of five days - fifteen days total. But I'm still benefiting from the skills I learned in those fifteen days. In the first year, I learned how to take a single passage of the Bible and listen to it on its own terms ("Grammatico-Historical Exegesis"). In the second year, I learned how to read the whole Bible as one book ("Biblical Theology"). In the third year, I learned how to pull together what the Bible says on a particular topic, so as to come up with the consistent Biblical view on that topic ("Systematic Theology"). Years later, I learned the funky academic names for what I was doing. Having benefited from the KYLC, I'm now contributing. I've been a leader for several years. Anyone involved in youth & children's ministry - come along! Next Gen will be a great time to train & be equipped & encouraged.